Silane coupling agents exhibit excellent advantages when used between organic polymers and inorganic fillers. It can improve the compatibility of resin and filler. It can improve the dispersion of the fillers, control the rheological property of the system, reduce the viscosity so the system’s properties will be more like Newton fluid. Silane coupling agents can also improve the mechanical properties, such as flexural strength, tensile strength, impact strength and modulus of elasticity. Because it can increase the hydrophobicity ,so silane coupling agents help to improve electrical properties, especially when exposed to moisture. And it can increase filling volume, reduce swelling and water vapor penetration. 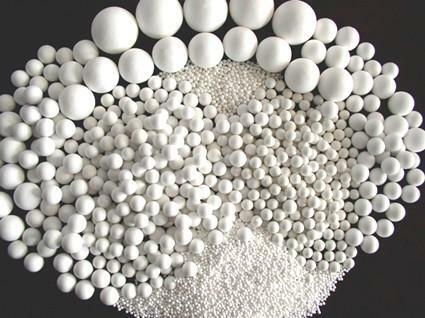 Thermoplastic resins, thermosetting resins and elastomer rubber mostly need to mix with fillers or fibers to get the special properties of the final product. However, because the compatibility of inorganic filler and organic polymer is not very good, adding fillers directly will cause inhomogeneous dispersion. And the large particle will become the stress concentration point in the composite material where is the weak link in the material. These disadvantages not only limit the amount of adding, but also affect the product properties. Surface modification of the inorganic fillers can improve the comprehensive performance of the composite and increase the binding force between inorganic filler and polymers. ●Improve mechanical strength and electric properties.